Karime is a new product development (NPD) consultant, committed to enhancing clients performance by merging business strategy, product development processes, and information technology. Prior to joining Kalypso, Karime was an intern at Sony in Miami, Florida developing IT enhancement projects for human resources. During that time, Karime led regional projects, broadened her interpersonal skills and was exposed to multi-national business processes. 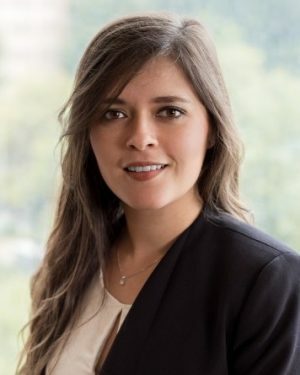 Karime earned a Bachelor of Science degree in Information Technology Management from the Monterrey Institute of Technology (ITESM) and holds a Master of Science degree in Information Technology by Macquarie University in Australia. Karime’s role at Kalypso revolves around enabling clients to focus their NPD efforts on addressing business challenges across Retail, F&B and Life Sciences Industries. She has hands on experience on end-to-end PLM implementations, NPD process improvement, R&D department assessment, change leadership and organizational design. She is an advocate for internal Kalypso initiatives such as Women in Technology (WIT). Karime is based out of Dallas, Texas. She enjoys all sorts of watersports, yoga, traveling, movies, and spending time with family and friends.